Forefoot deformities are the most frequently acquired, such as hallux valgus and deformities like hammer toes. Up to 25% of people aged over 40 have some type of foot deformity. Also known as hallux valgus, the deformity is characterised by the lateral deviation of the first metatarsal and the medial deviation of the hallux, causing a bony prominence on the lateral aspect of the joint. Bunions are more common in women and have a hereditary component, but its development is also influenced by the use of constrictive footwear such as high heels. It is important to clinically and radiographically evaluate the degree of the bunion to determine the most suitable procedure. This is a deformity affecting the lesser toes of the feet and is characterised by a flexion deformity of the affected toe. These deformities cause significant pain and lesions to develop due to the pressure exerted by trauma from shoes and daily walking. 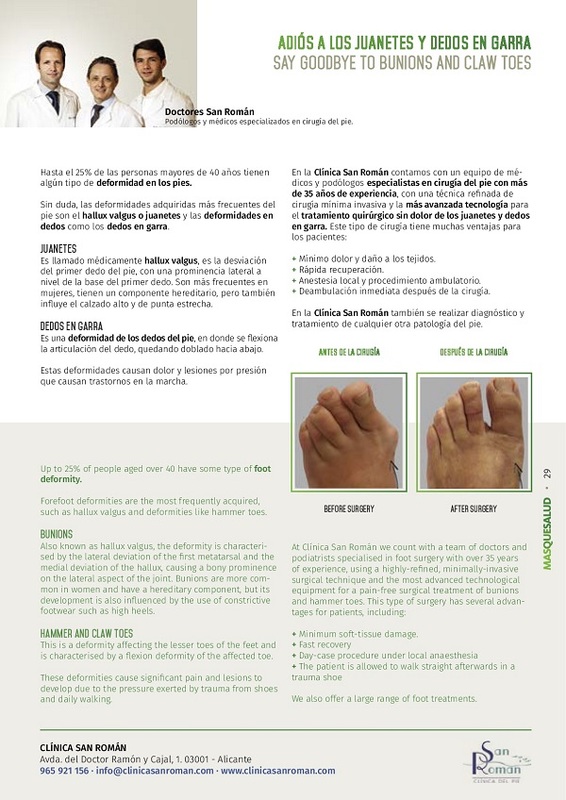 At Clínica San Román bunions and hammer toes are operated with a novel technique called minimally invasive or percutaneous foot surgery. At Clínica San Román we count with a team of doctors and podiatrists specialised in foot surgery, using the most advanced technology and equipment and current academic knowledge that makes it the best and safest choice as the surgical orthopaedic treatment of bunions and hammer toes. 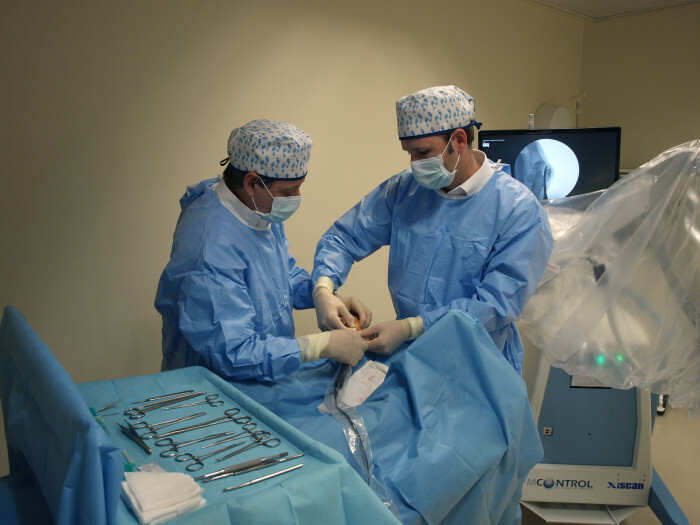 Not only that but we equally provide an array of other treatments and services for various other foot pathologies.